Apple intends to make more headway into your living room this time around, where the Cupertino firm has rolled out a brand new generation of Apple TV. Those who own the current Apple TV, you would know that it supports Full HD resolution since three years plus back, and the all-new Apple TV is going to deliver a whole lot more than just a visual performance. In fact, Apple is set on delivering a revolutionary experience to the living room that will be based on apps which have been specially built for the television. These very apps on Apple TV will allow you to choose what to watch and when you watch it – all at your convenience, of course. 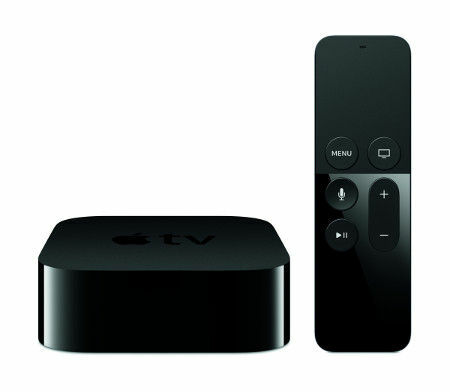 To sweeten the deal, the new Apple TV’s remote boasts of Siri, letting you search with your voice for TV shows as well as movies across multiple content providers simultaneously. Needless to say, the all-new Apple TV was built from the ground up with a new generation of high-performance hardware, and there is also the all-new tvOS operating system that will obviously be based on Apple’s iOS. In other words, iOS developers out there can create innovative new apps and games specifically for Apple TV in a jiffy, while making sure they are delivered straight to users through the new Apple TV App Store. The new Siri Remote will simplify how you select, scroll and navigate through your favorite content, and at the same time, bring unique interactivity to the new Apple TV thanks to a glass touch surface which can handle both small, accurate movements as well as big, sweeping ones. The inclusion of touch to Apple TV results in a natural, connected experience, never mind that the TV screen happens to be on the other side of the room. Other hardware bits and pieces in the mix include a built-in accelerometer and gyroscope. The new Apple TV will arrive later this October in 2 models – 32GB and 64GB, which will retail for $149 and $199, respectively.